Any Service work up to 15% off. *Present coupon at time of write-up. Appointment recommended. Sales tax and shop supplies extra. Not valid with other coupons or advertised specials. Good on Nissan models only. Offers expire end of month. Offer available at Speedcraft Nissan only. Not valid with any other offers. *Present coupon at time of write-up. Appointment recommended. Sales tax and shop supplies extra. Not valid with other coupons or advertised specials. Good on Nissan models only. Offers expire end of month. 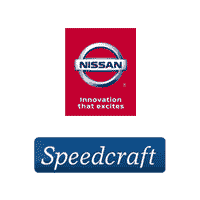 Offer available at Speedcraft Nissan only. Not valid with any other offers.